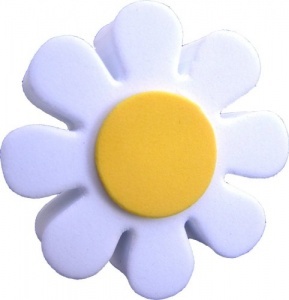 Our White Daisy is one of our most popular designs. 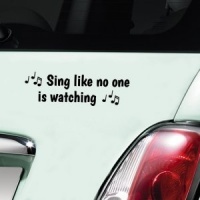 Push it onto your aerial making it easier to spot your car in the car park. 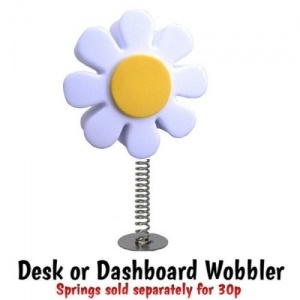 Or pop our White Daisy on a spring turning it into a 'Dashboard Wobbler'. Springs can be purchased for 30p...search 'Spring'. Size: 5.5cm across. Made of: High density foam. Suitable only for aerials up to 7mm thick. If you have one of the thicker types of aerial sadly this design isn't suitable as we can't make the hole bigger for you due to the thickness being only 2cm. Excellent value for money, product is everything that is advertised. Have just named my car after my aerial decoration! Makes it so much more cheerful (the car is black). My aerial is a fat one but if I stick a pen into the daisy before fitting it does go on and stays on. Cheers my car up and I can spot it any where. What a genius way of making the hole bigger! 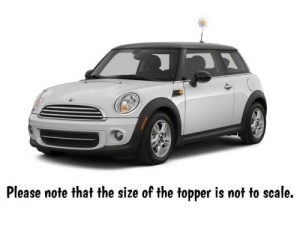 We always say that a little drop of washing up liquid in the hole will help the Topper slip onto the end of the Aerial. I've ordered from here before and had equally as good service then. Cannot fault these guys! Communication is perfect, you're always kept in the loop. Also from the times I've ordered I've never received a delivery late. They're always on time or early. The products themselves are great too! Thank you for providing such a great service! We recently changed our car from blue to white so I wanted a white aerial ball to match - this cute little daisy was just ideal! It makes finding my car in the car park easier as I can spot it from a distance. Thanks for a real bargain and a fun item which arrived two days after ordering. I’m sorry it wasn’t the size you were expecting. We do mention the size (5.5cm wide) in the ‘listing’ copy. The Pink Daisy and Black Daisy are larger (7cm wide) in case you want to place another at a later date.